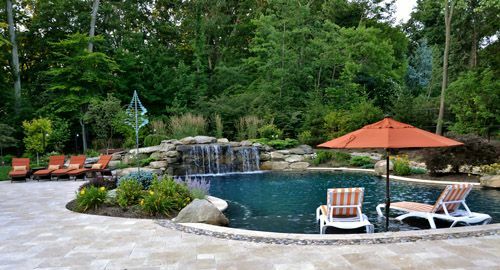 Inground custom design swimming pool with a Caribbean vibe. 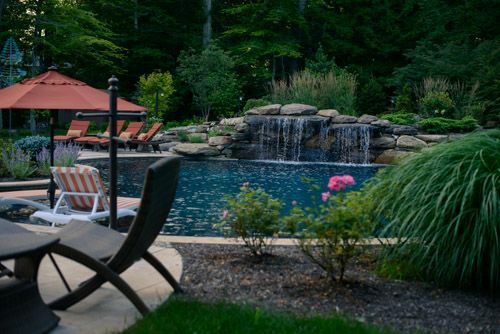 Built with a large spacious pool and patio, as well as an outdoor bar and cabana, this backyard is the ideal entertaining space. 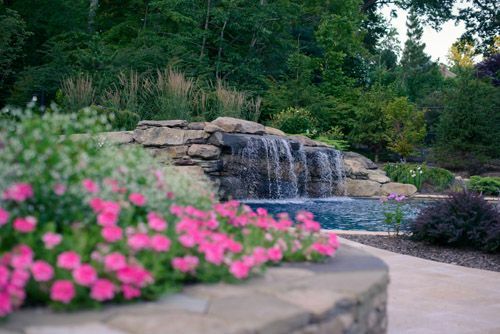 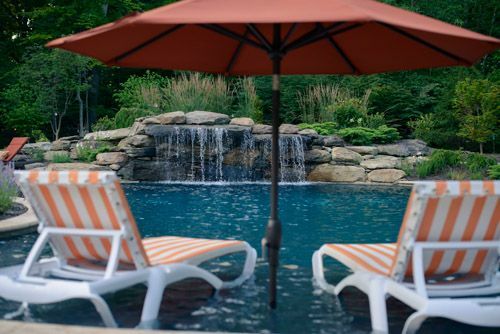 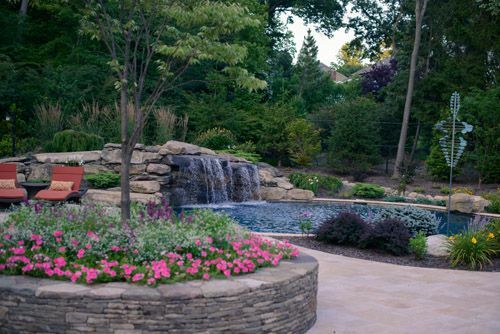 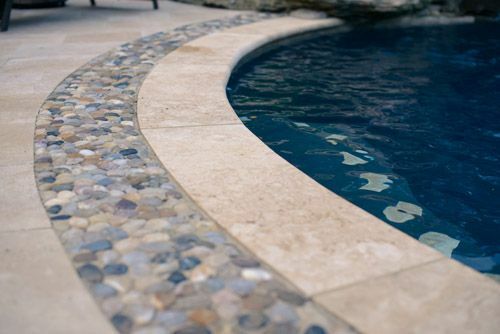 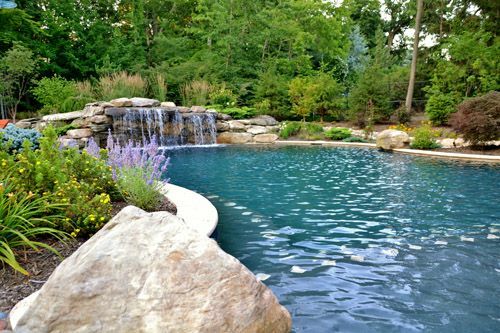 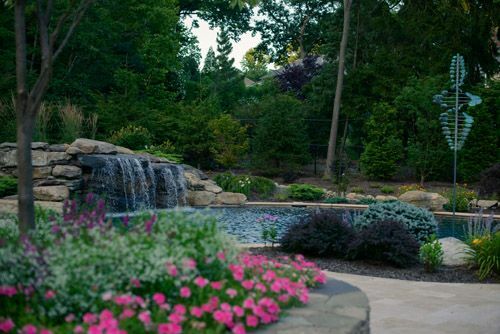 This inground residential swimming pool features a natural stone waterfall feature. 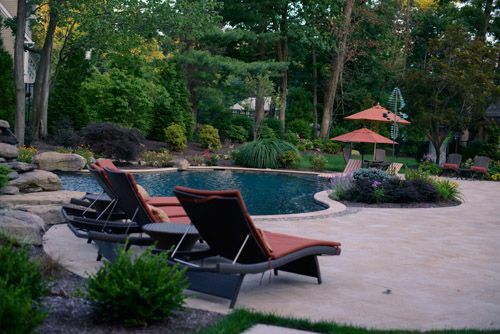 The large freeform shape includes a sundeck area, perfect for lounging in on a hot summer day. 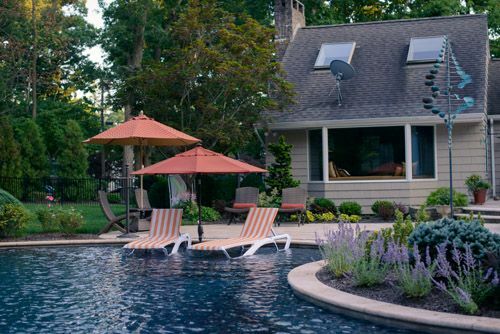 The patio allows for a spacious amount of seating and includes an outdoor kitchen, bar area with seating and a cabana for convenient shower and restroom access.